Motorboat & Yachting: Turkish boat yard Numarine has announced that it will be building a new range of explorer yachts, starting with the Numarine 32XP. Recent trends are leaving towards long-distance explorer yachts, Turkish boat yard Numarine has revealed its latest design – the new Numarine 32XP. 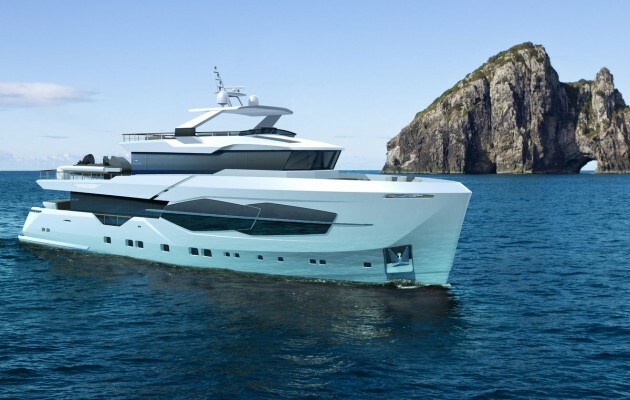 The designer Can Yalman has sought to blend Numarine’s signature style with a more rugged explorer yacht aesthetic as part of the composite superstructure. The owners will find accommodation on-board for up to 12 people, including a full-beam master cabin amidships. Power comes from a pair of Cat C18s, delivering 715hp per side for a comfortable cruising speed of 12 knots, however Numarine 32XP owners will probably be more interested in the maximum range of 3,000nm. Numarine has worked with the Silent Line Group to achieve the highest standards in noise insulation, while each model will be evaluated to ensure that vibration underway is kept to a minimum. No release date has been announced for the Numarine 32XP, however the Turkish yard reveals that Hull #1 is already under construction. Also, Numarine has plans to build a 40XP, which will be one of the largest models in its 55-130ft range.